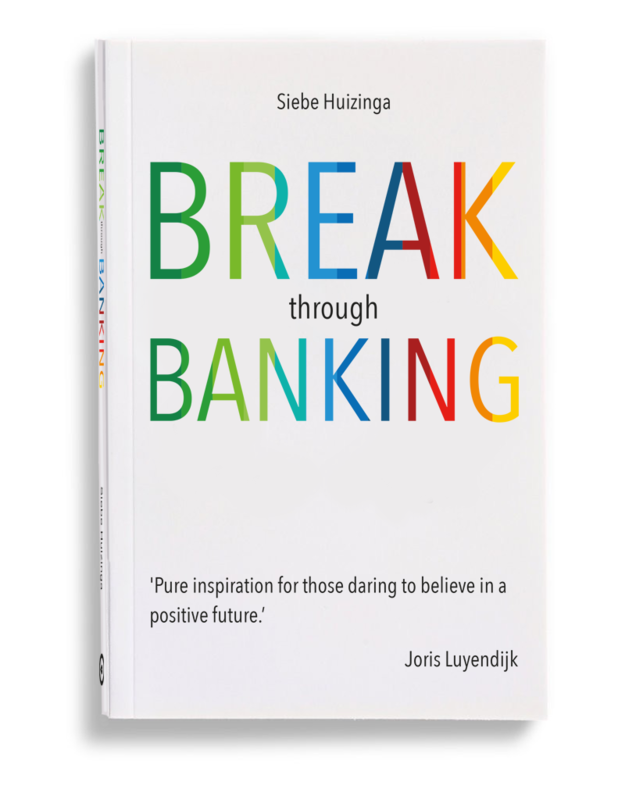 Break Through Banking. The trials and tribulations of bunq. 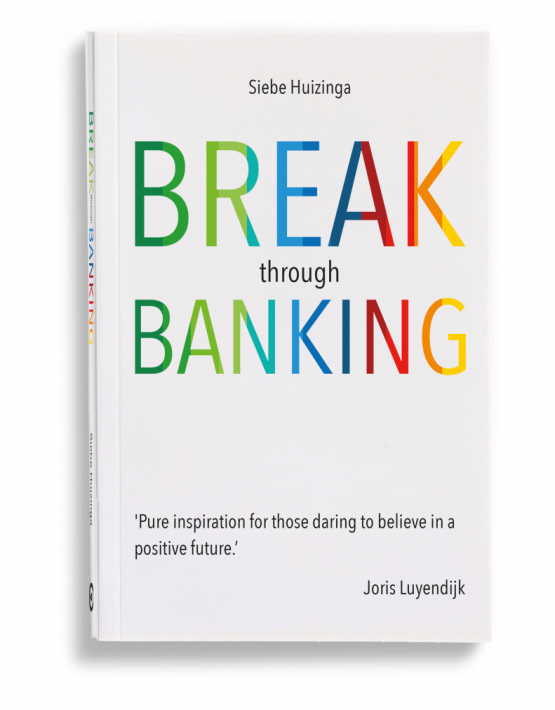 Siebe Huizinga wrote Break Through Banking based on hundreds of conversations, emails, documents and news items. From 2012 to 2016, he had a front row seat watching bunq develop and unfold into a pivotal game changer. The result: a very personal account of the challenges faced by a start-up. One that is bent on writing history. 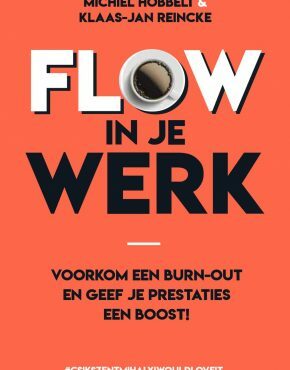 Pay with iDEAL, Paypal, Creditcard, Overboeking or SOFORT Banking. 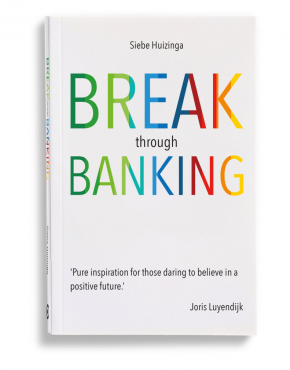 Break Through Banking: the trials and tribulations of a start-up ready to take over the world. ‘bunq is no typical bank run by middle-aged men in expensive suits who make their money by taking risks with your money. It’s quite the opposite. bunq is a club full of young pups in their twenties, dragged and lured to Amsterdam from all over the world, taken by Ali’s charisma and his plan. To use new technology and start a bank that doesn’t take risks by piggybacking on your money. A bank that makes its earnings simply by providing an excellent service to its clients. Is that even possible? 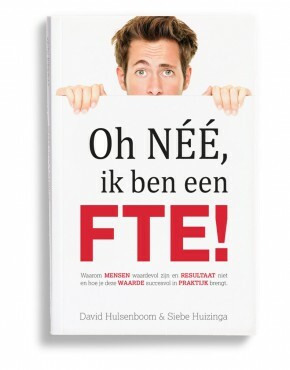 In a tiny country like the Netherlands? Before the big boys in the USA beat them to it? 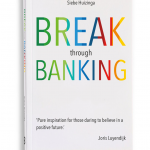 Break Through Banking is a story about hard-won victories over supervisors and red tape. About breakthroughs and setbacks, personal dramas, arguments and reconciliations. Real stamina and the guts to start over again and again. It’s the romance of a start-up, but also the tragedy of compromise and grudging acceptance that the world can only move so fast. And it’s a surprising story. 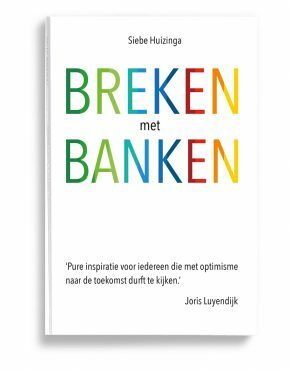 Because who would have thought that the first challenger of the dinosaur banks would see the light of day thanks to a loan from… the ING bank! 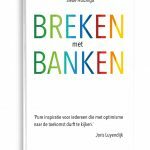 ‘The big banks are scared to death of people like Ali’ said Jeroen Smit, author and expert in banking and innovation, during a Dutch television interview. Or, as a London-based banking expert put it: ‘The question isn’t whether IT companies will take over the banking world, it’s when.’ Ali’s pack is spearheading this revolution. Their story is pure inspiration for those daring to believe in a positive future: about a pack of pups in Amsterdam who relentlessly hounded their dreams into reality.